In Provence, the French grape harvest, or vendange, is conducted with the precision of a science experiment and the blissful indulgence of Thanksgiving in the States. 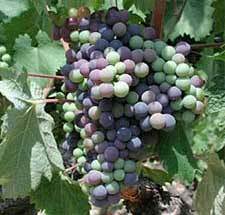 It takes place in September and October, different vineyards embarking on different start dates according to the readiness of the crop. For certain white wines, grapes are picked by hand at night or in the early morning hours if the weather is still warm, to avoid the shock associated with taking fruit heated to 90˚F by the midday sun and depositing it, crushed, into cold vats in 57˚F cellars. For red wines, grapes simply are separated from their stems and allowed to ferment a number of days before they are crushed and committed to vats. Everyone gets in on the act, from neighbors to in-laws, and friendly competition ranges from who can fill his or her bucket first to which vineyard puts on the finest and most elaborate lunch. Provence features a number of prominent appellations throughout the region and this explains why the grape harvest is so all-consuming here. 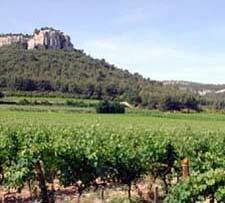 Recognizable wine centers include Côtes de Provence, Bandol, Bellet, Coteaux d'Aix-en-Provence, Coteaux de Baux-de-Provence, Cassis, and Coteaux Variois. To view an excellent description of Provence wines and the grapes associated with them, including convenient lists of individual wineries and good contact information, visit www.beyond.fr/wine/provencewines.html. The grape harvest in Provence is a landmark occasion, heightened in its intensity by simultaneous celebrations of other local produce including olives, truffles and lavender. Wine, food and dancing are in generous supply here during the autumn months, most notably in places such as Cassis, Gorbio, Vence, Nice, Mouriès, Riez, Valbonne, Apt, Oppède, Avignon, and Châteauneuf-du-Pape. A useful listing of local fairs, festivals and events can be found at beyond.fr/a/calendar.html.